Integral valve automatically shuts off the hose supply when the fitting is uncoupled so there is no need to return to the tap. 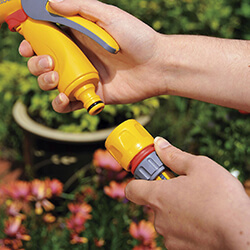 Hose connectors come in a variety of forms and serve a variety of functions. 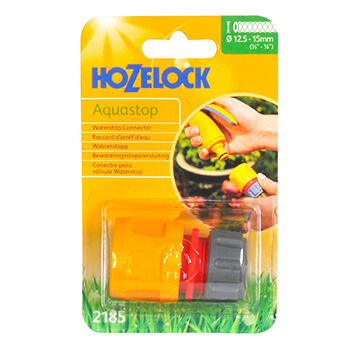 The basic hose end connector (2166) fits onto the end of your hose, and then allows you to click the hose onto your tap, or an accessory (e.g., nozzle) onto your hose. A special 'water-stop' connector (2185) is ideal for the accessory end of your hose, because it stops water flow whenever you disconnect your hose end attachment.You can therefore change your accessory - from a nozzle to a gun, for example - without getting wet! 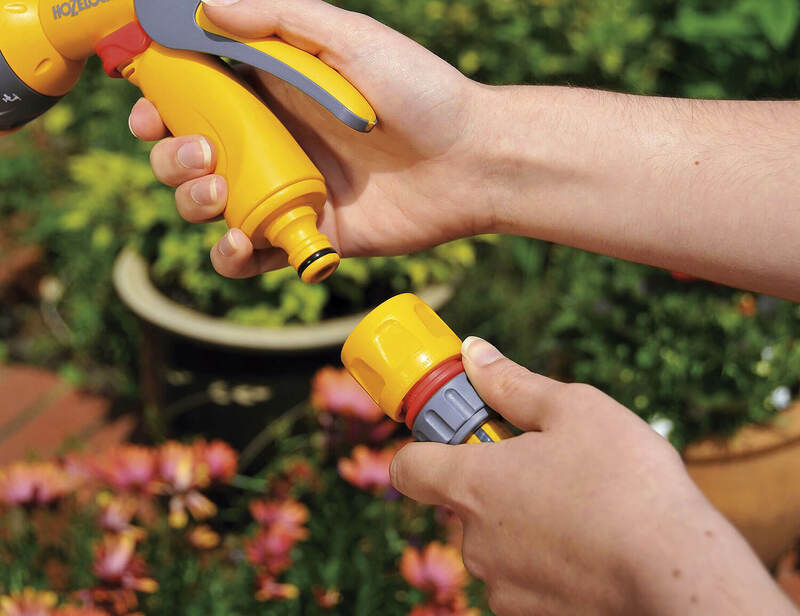 A hose repair connector (2100) allows you to permanently join two lengths of hose - in case you damage your hose and need to remove a length, or perhaps to join two hoses to achieve a hose long enough to cover the length of your garden.